For business people living in the financial hub of Guernsey, located in the English Channel, meeting with clients in Europe can be a challenge. “The island of Guernsey is somewhat isolated in respect to air travel, because you have to take a commercial flight to the U.K. and then head wherever you’re going,” said Starr Livingstone, Channel Jets General Manager. Paris, for example, is only 30 minutes away from Guernsey by air, “but to get there you can spend all day in airports and miss your meeting,” said Livingstone. Channel Jets is a charter air taxi service based in Guernsey to help connect the Channel Islands with the financial centers of Europe and the U.K.
“Our goal was to have a paperless environment,” Livingstone said of Channel Jets. But for the heavily regulated airline industry, paperless is far from the usual way to operate. “The airline industry is pretty much entrenched in paper and it’s difficult to extract from that paradigm,” said Livingstone. But as a startup, it was important for Channel Jets to do things differently. “For us, we’re a very small operator. We don’t have the time or the resources to be spending hours a day filling out forms and then searching for them,” said Livingstone. By using mobile forms, Channel Jets has been able to challenge how the airline industry typically works and keep their own operations cost-effective. Journey logs are one example of required regulatory paperwork, and must be submitted pre and post flight. Traditionally, logs would be completed using carbon paper, with one copy remaining on the ground and the other going with the aircraft to be signed off at the destination. It was key for Channel Jets when choosing a mobile forms solution that forms could be submitted before the flight takes off. “I had considered four or five other platforms, but that functionality was critical. Because once you’re in air you can’t submit things and it’s too late at that point anyway,” Livingstone said. Channel Jets created a mobile forms version of the journey log forms. Pilots complete and submit the form to the flight operations manager prior to a flight taking off and then again after landing. “Getting that instant email that the flight has properly dispatched [is essential], then I know when I’m tracking them in the sky that we’ve got all of our regulatory paperwork in order,” Livingstone said. Having easy access to data is important for regulatory and compliance purposes. A ramp check, which can happen at any time, is when the regulatory body of the country you’re flying into goes through the aircraft and records intensively while on the ground. Although ramp checks are largely unpredictable, certain countries have a reputation for requiring them more often. “The consequences of not having your information up to date and up to speed are that your aircraft can be grounded,” Livingstone said. Channel Jets designed a new form using Device Magic for ramp checks so they can monitor compliance on their own and ensure that they are prepared if an inspection should occur. “We’re going to construct our own [ramp check] so that we can proactively check for all those documents and compliance in advance so we know we’re going to pass,” Livingstone said. Channel Jets wanted to operate electronically from the beginning, but initially were using outdated, industry-specific technology. Livingstone found these systems overbearing and difficult to use, and knew a better option was available. Introducing Device Magic to the Channel Jets team and demonstrating how easy using a digital solution could be was revolutionary. The team, used to the demanding regulations of the airline industry, “could hardly believe that such things could be done,” Livingstone said. “It’s a rather onerous industry for regulations. It’s kind of like going through an ISO audit every day of your life, almost. It’s nice to have tools that work quickly and are reliable,” Livingstone said. Multiple people at Channel Jets are using Device Magic: pilots for data submission, trainers for training events, compliance and safety managers for auditing or regulatory events, and the continuing airworthiness manager for monitoring any mechanical problems. Because each person has individual needs when it comes to the forms they use, Channel Jets has implemented user groups to help organize and distribute forms. The ability to include some people in multiple groups and to manage their internal distribution list, and make edits if necessary due to personnel or job title changes is critical, Livingstone said. “The fact that Device Magic just worked out of the box, and for the most part I have good user control to customize things makes it very useful,” Livingstone said. In any paper-dominated industry, such as the airline industry, finding a more efficient way to operate can be a challenge, which makes choosing the right tools essential. 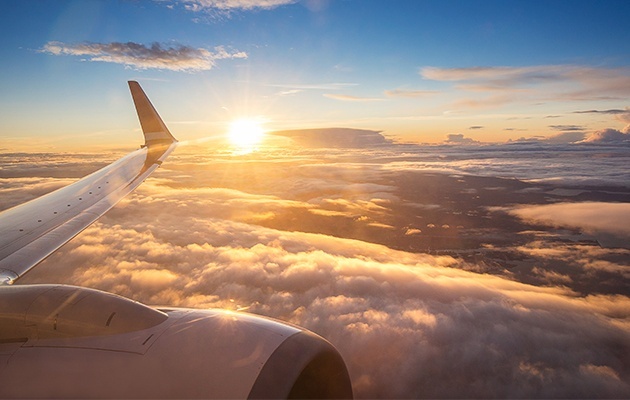 Mobile forms help airline operators like Channel Jets to reduce the burden of paperwork, while still remaining compliant, and also make it easier to perform audits and manage operations. After several years of using Device Magic, Channels Jets has completely integrated mobile forms into their workflows. “We’ve evolved into using mobile forms for our training system, for our compliance system, for our safety system and virtually every key component of our operation,” Livingstone said. See how mobile forms can make a difference for your team. Get started for free.